For curvy and full figured women who want to shop while visiting New York City, Shop Gotham has made this daunting challenge a bit more manageable. Shop Gotham is pleased to now offer a comprehensive and easy to follow Self-Directed Plus Size Shopping Itinerary. If it exists in NYC, it will be here. This emailable guide accompanied by a simple map, identifies approximately 25 shops in Manhattan, Harlem and Brooklyn. Store types range from those which carry staple pieces to luxury boutiques. Lingerie, swimwear and specialty sized shoes are included as well. Both chain stores and “only in NYC” options are here, with address, hours, phone number, size ranges and brief summary of items and best sellers. Shoppers can pick and choose their destinations or for the ambitious, the entire itinerary can be accomplished in 2 days time, at one’s own pace. The fee is $32 and can be ordered via email at: info@shopgotham.com with the subject line: Self-Directed Plus Size Shopping Itinerary. After you have shopped til you dropped with a Shop Gotham New York City shopping tour, we recommend you visit the iconic Lincoln Center. 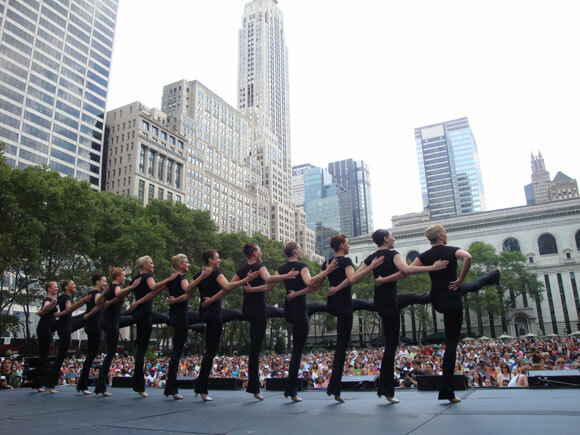 See a broadway show such as War Horse, the legendary Metropolitan Opera or The NY philharmonic. Or simply walk the beautiful grounds to get away from the fray of midtown.